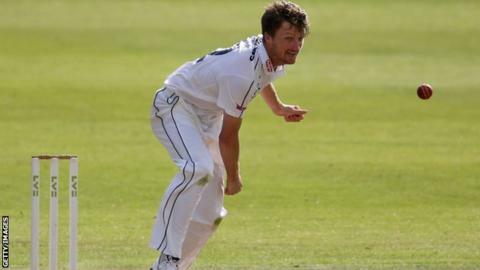 Australian seam bowler Jackson Bird says he would "love" to rejoin Hampshire next season ahead of his return to Australia with Tasmania. The 28-year-old Australian's time with Hampshire has now come to an end, but Bird said he would be interested in returning to the Ageas Bowl. "I would love to play county cricket again. I thought the standard was really good," he told BBC Radio Solent. "I would love to have the opportunity to play for Hampshire next year." Bird posted his club-best figures for Hampshire earlier on this summer against Worcestershire, taking 4-146. However, his focus is now firmly on performing for Tasmania Tigers ahead of the Australian cricket season which starts on 7 October. "I think I have a lot to offer Tas (Tasmania) and push my case forward to play for Australia in one-day cricket," he said. However, Bird played it cool about his aspirations to return to international cricket. "I've learnt in the past not to focus on selection, there's nothing you can control if it doesn't go your way," he said. "I think as a bowler your only currency is wickets. I have just got to make sure I start the season well".